Welcome to the Sound of Music! Our first rehearsal will begin with a parents’ meeting this Saturday, Jan. 21 at 9:00 in Faustina. We need all cast members and at least one parent from each family to attend. Parents will be free to leave at 10:00 am at which time the entire cast will stay for a read-through of the script. After the read-through there will be a rehearsal for Mother Abbess and the named nuns; the rest of the cast will be dismissed. 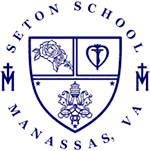 Parents will need to bring two separate checks to the parent meeting- both made out to Seton School. Parents, please check your calendars in advance and come to the meeting on Saturday prepared to sign up to chaperone at a performance. Last year we had great difficulty with finding chaperones for the performances. If your child is in the show we need you to help: we cannot put on the show without chaperones at performances!! We understand that conflicts may arise and that there may be changes to the schedule, but we need to be filling those slots now. In addition to email blasts, we will post communications (schedules, communications about costumes, makeup, etc.) in a blog format on the Seton Theatre website www.setontheatre.com under the spring musical tab.